Use this colander for draining cheese as well as many other applications in the kitchen. 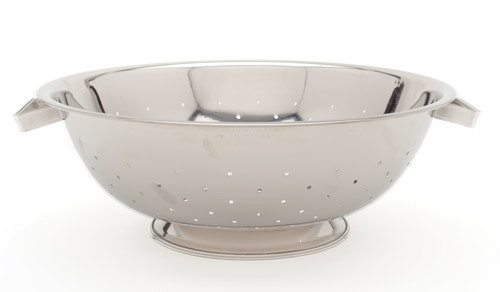 You will find this high quality colander the perfect kitchen accessory. Specially sized, 13-1/2” across the top and a 8 quart capacity. Fully perforated for fast efficient draining.